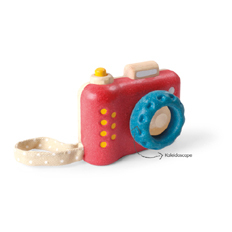 Get picture perfect views of your surroundings with this PlanToys® camera. Point, focus, and click the camera and see the different images through the kaleidoscope lens. Launch date: February 2013.